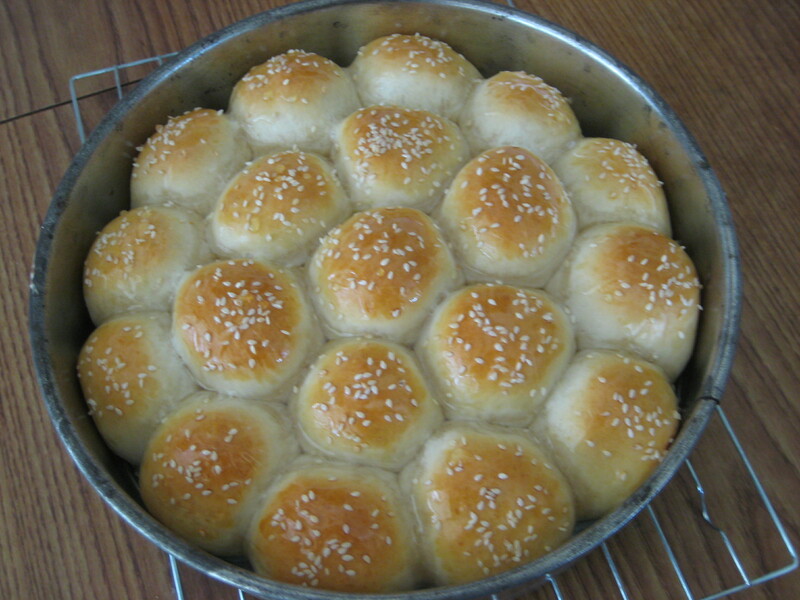 The comfort of homecooked dishes made easy. Khaliat al Nahal (known by many as Khaliat Nahal) literally means Bee’s Hive in Arabic. 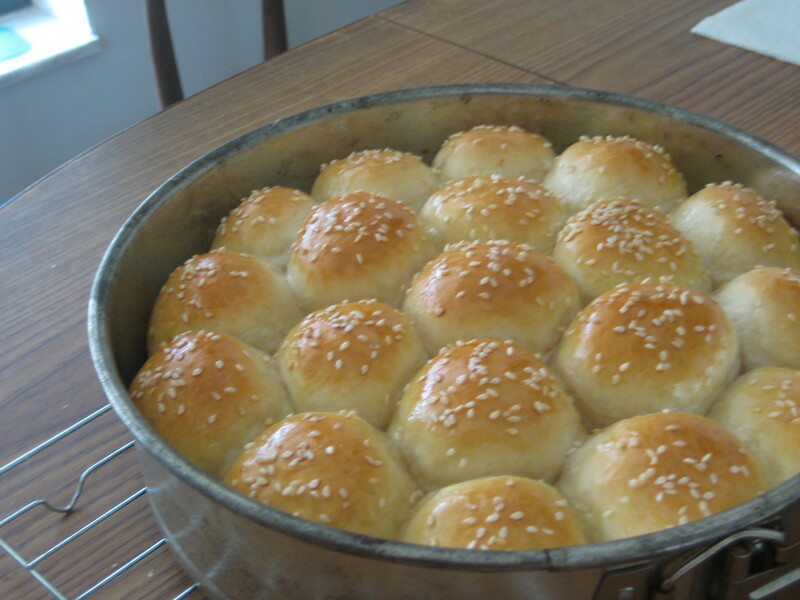 This is because the buns are baked close to each other in a round pan in a honeycomb like pattern and they are glazed with a honey flavored syrup. 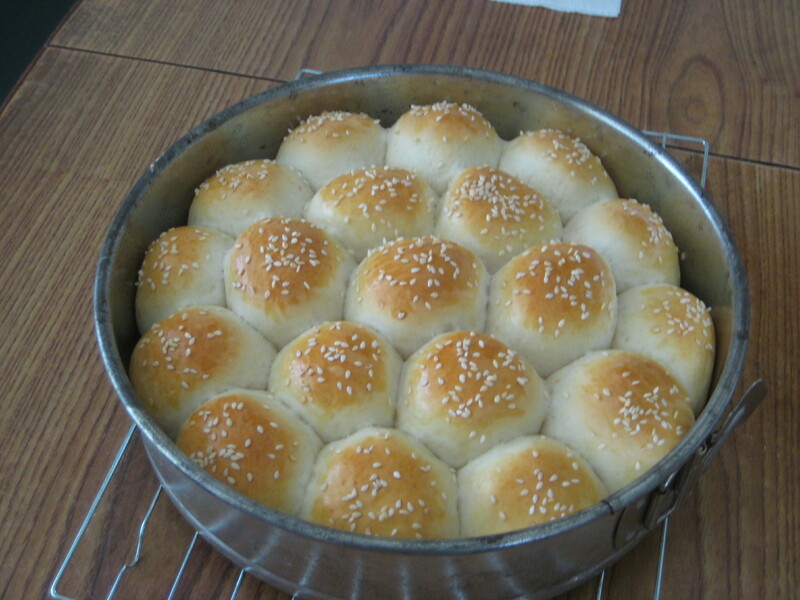 Now there are many different recipes for this dish. I have compiled a group of them and found an easier and less expensive version. 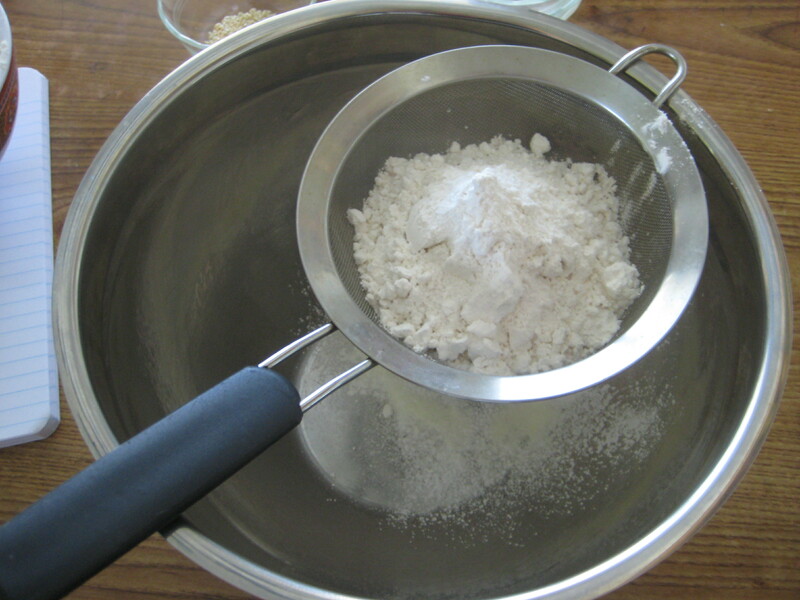 Step 1: In a large bowl, sift together the flour, powdered milk, sugar, baking powder, and salt. 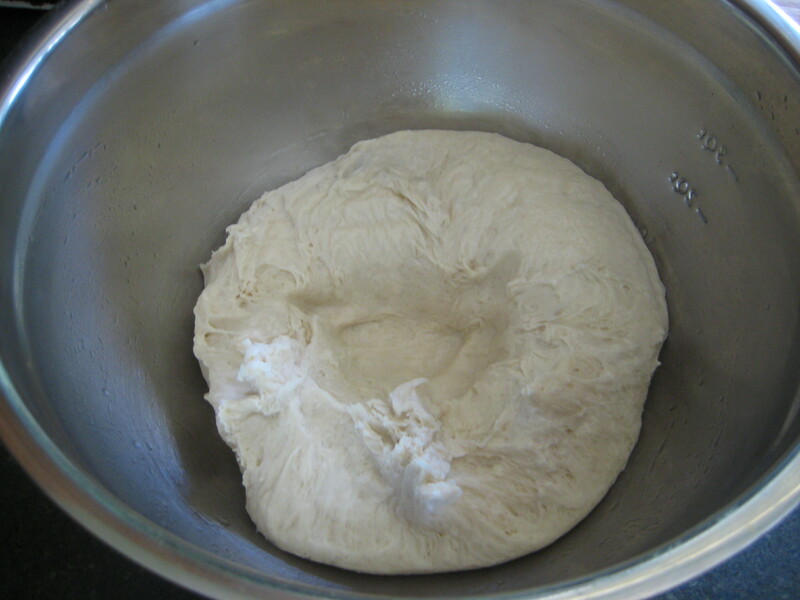 Step 2: Mix in the yeast, vegetable oil, and enough warm water to form a soft dough. 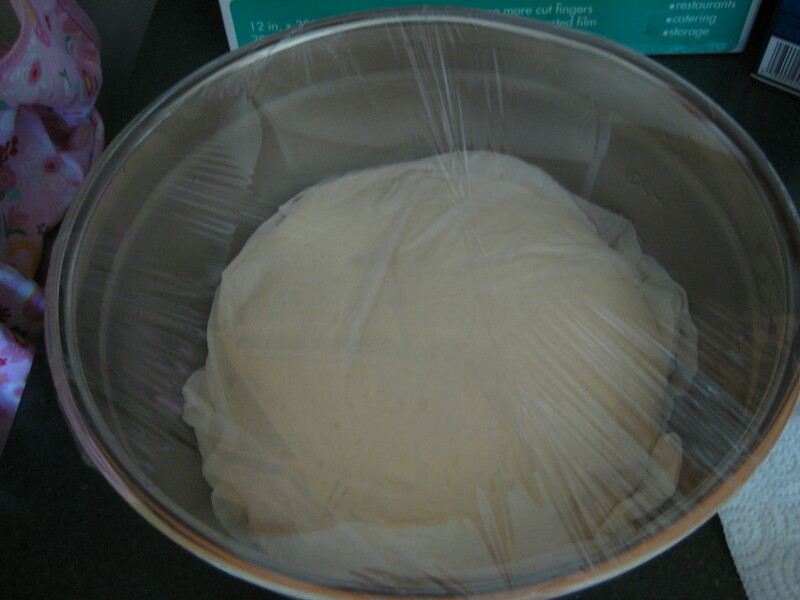 Step 3: Knead for 8-10 minutes. 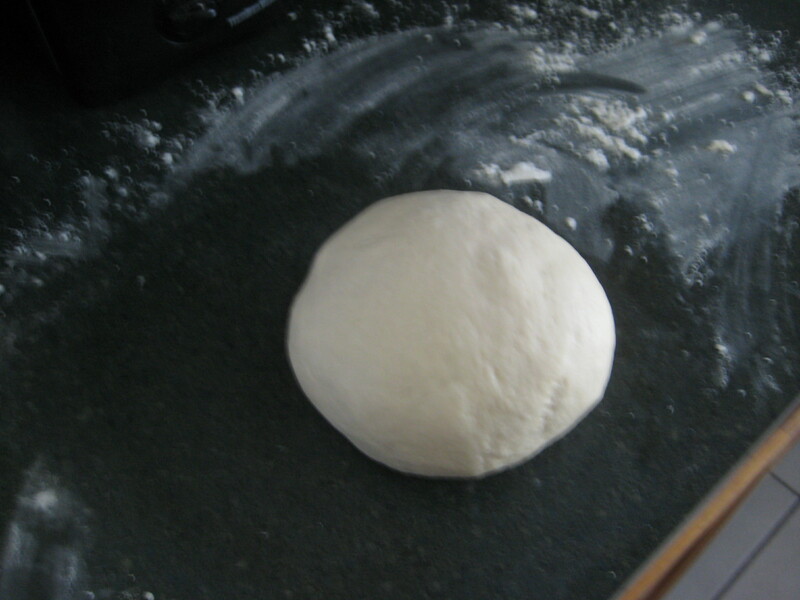 The dough will be smooth in texture. 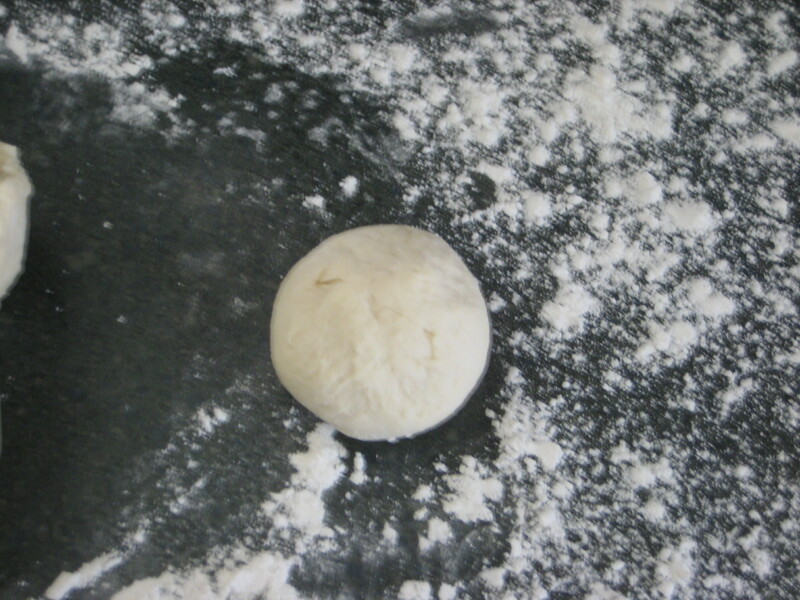 Step 5: Proof for 1 + 1/2 hours. 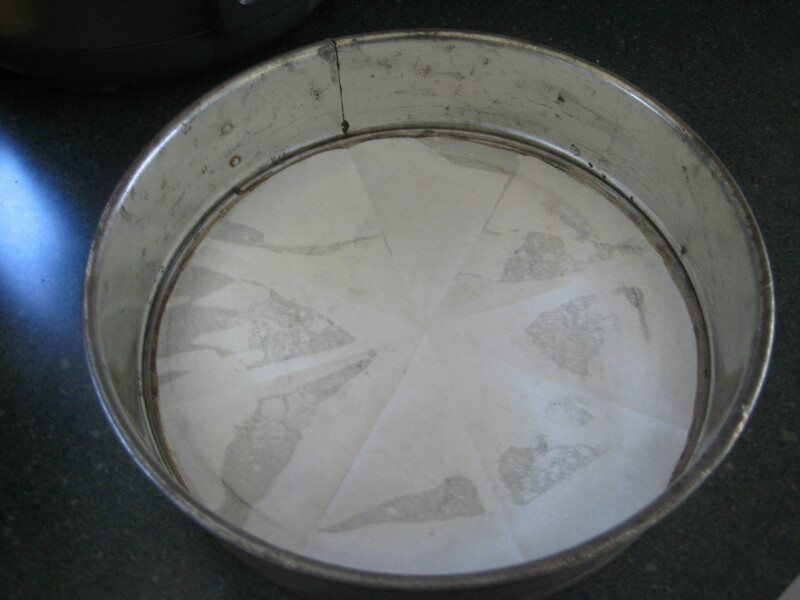 Step 6: Meanwhile in a sauce pan, combine the sugar, water, and honey. 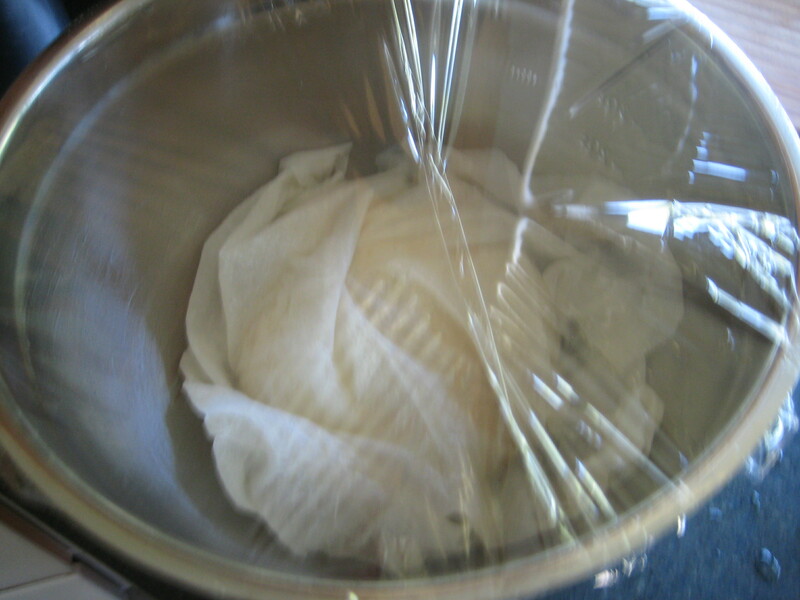 Step 7: Bring to a boil and allow it to lightly thicken over med-low heat, 3-4 minutes. Allow to cool. 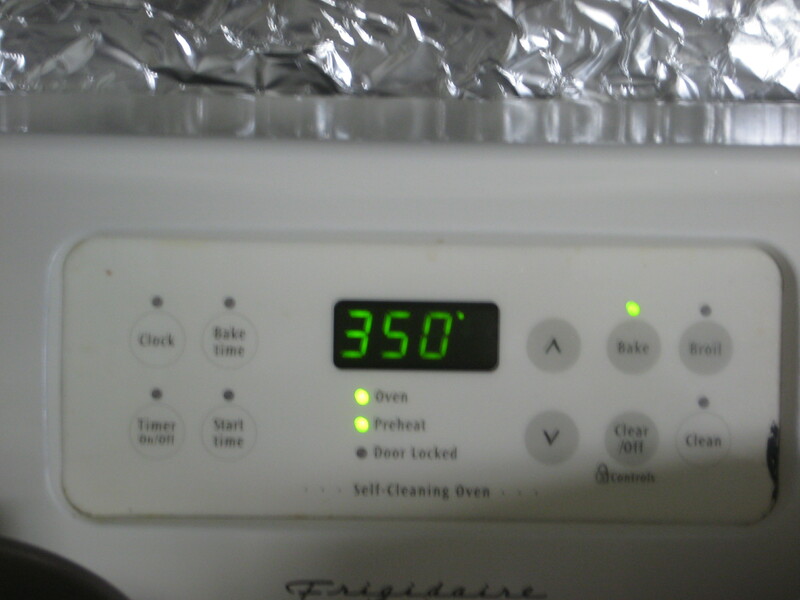 Step 9: Preheat the oven to 350°F. 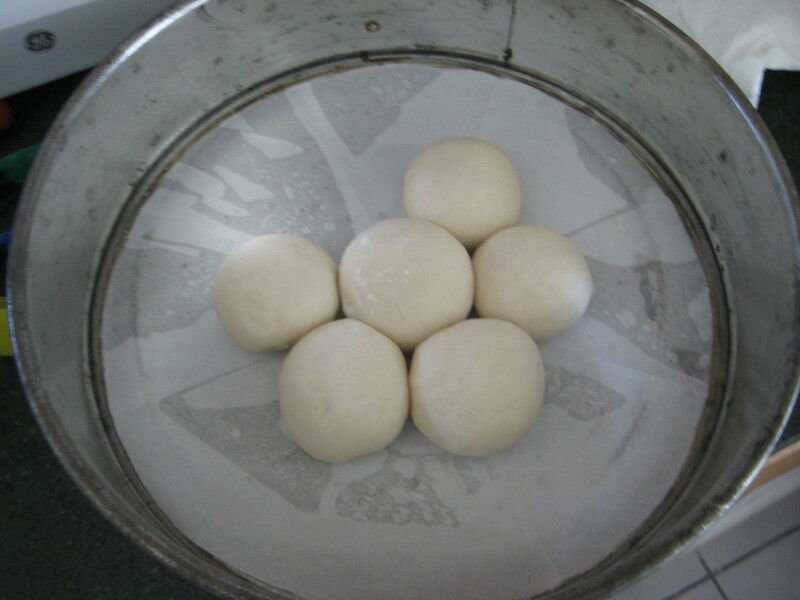 Step 10: Punch the dough down and divide it into small balls, about 2-3 Tbsp. 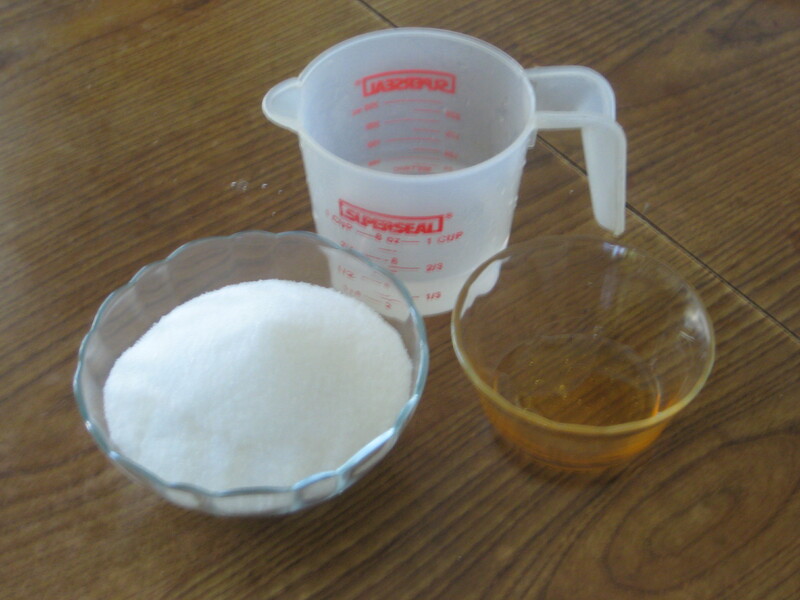 Step 11: Create a well in the balls and add 1/2-1 tsp. 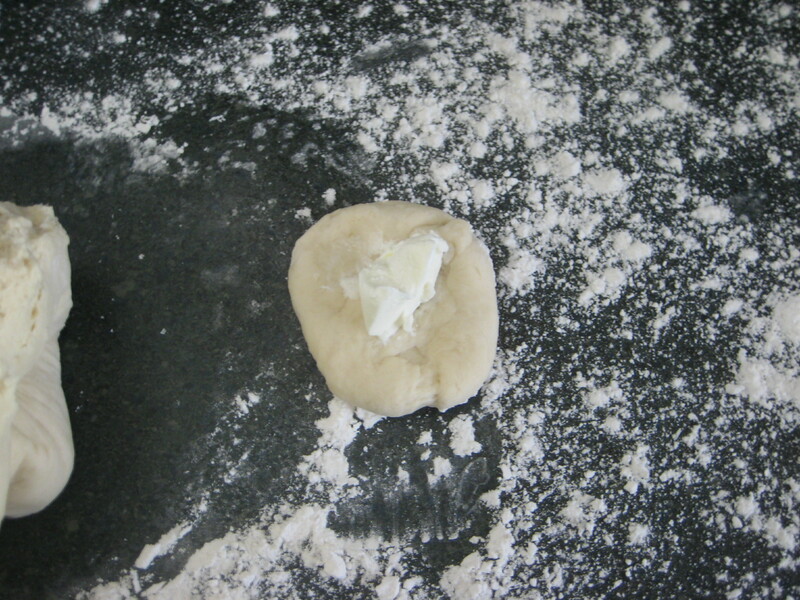 cream cheese in the center and encase the cream cheese in the dough. 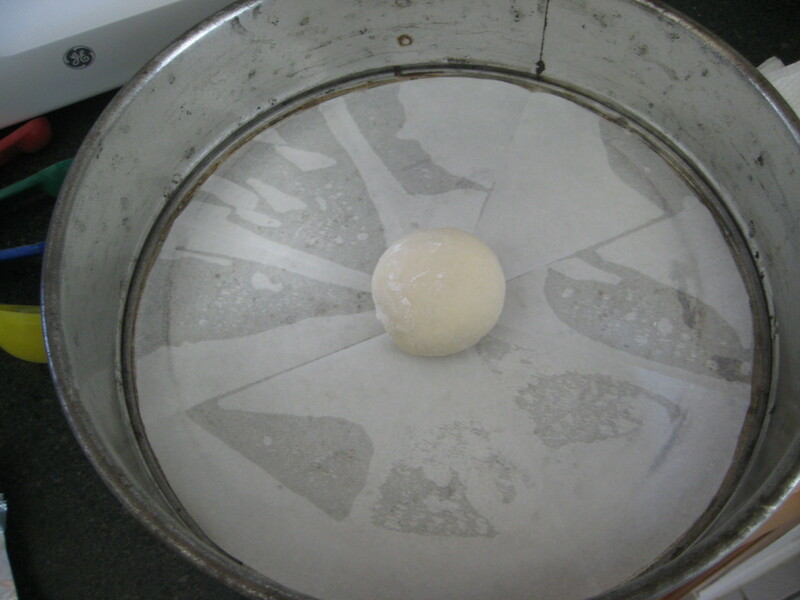 Step 12: Place dough balls into a lightly oiled and lined baking pan, starting from the center and moving outward like a honeycomb. 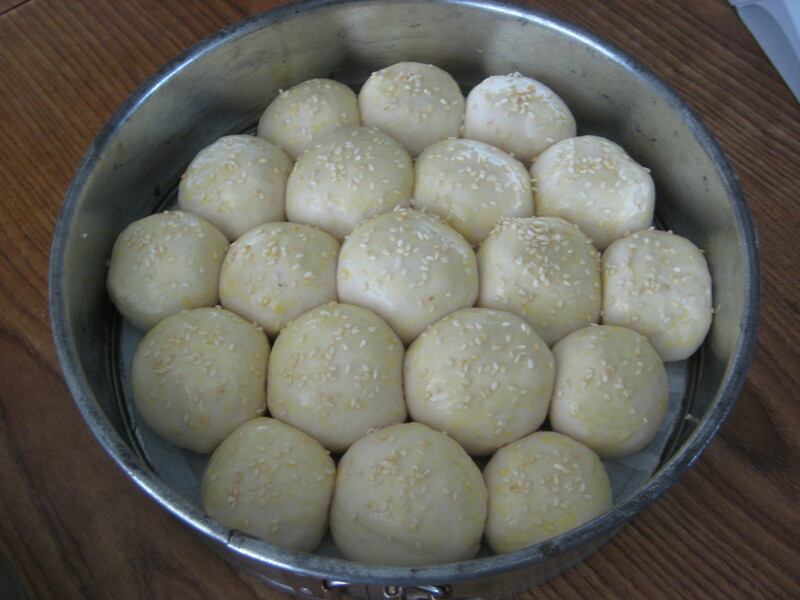 Step 13: Brush dough balls with the egg wash and sprinkle on some sesame seeds. 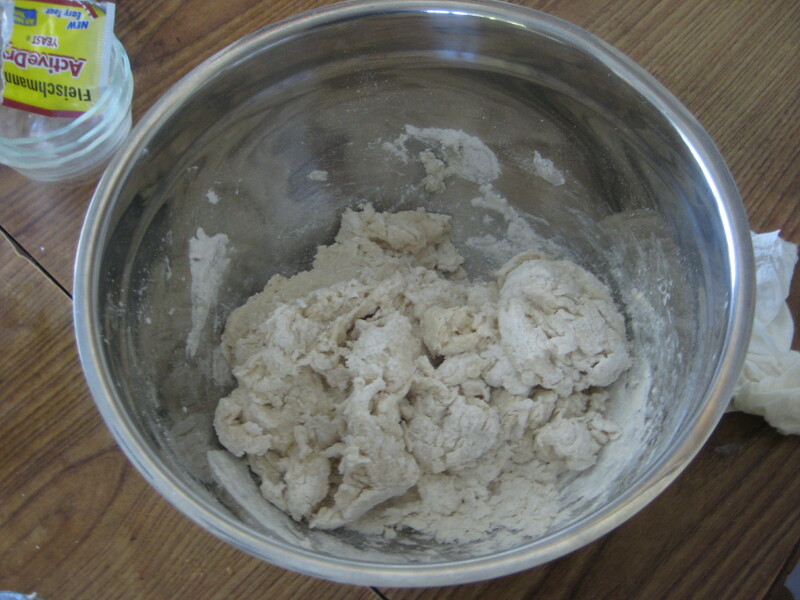 Step 14: Bake for 25-30 minutes, or until golden brown. 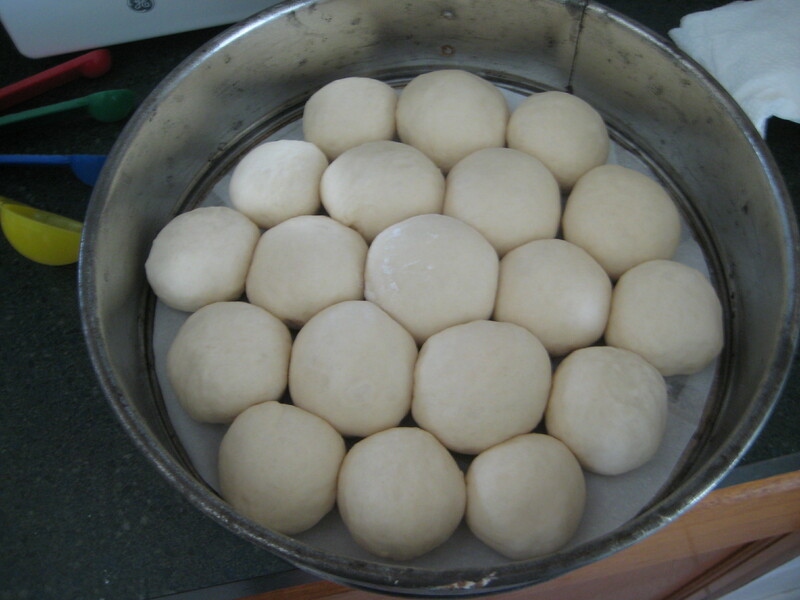 Step 15: Remove from oven and immediately pour the cooled simple syrup over the buns. 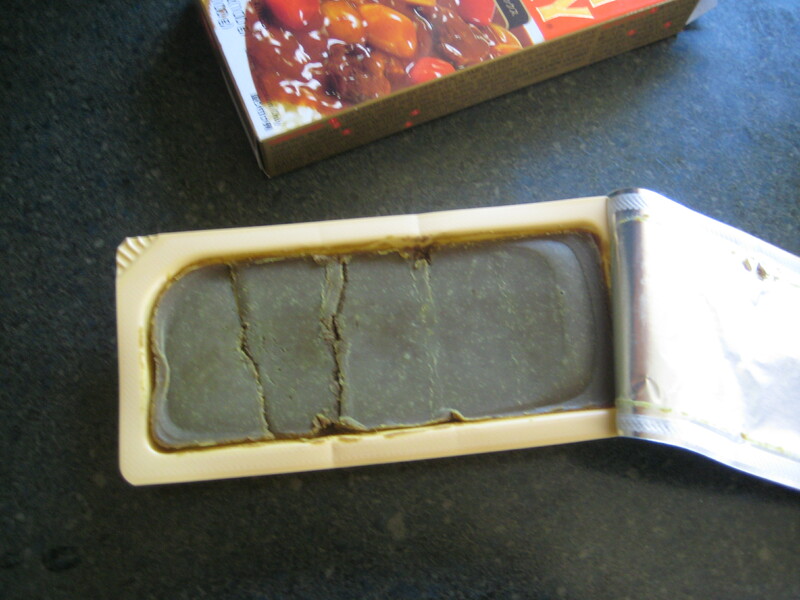 This week I was craving for some curry, but not an overly spicy Chinese version my dad always makes. 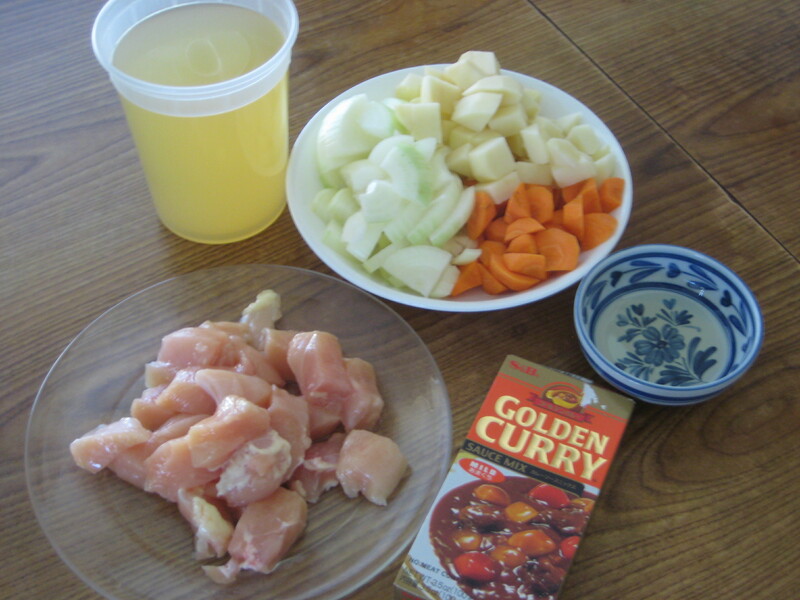 So I figured I could make a Japanese curry rice dish. 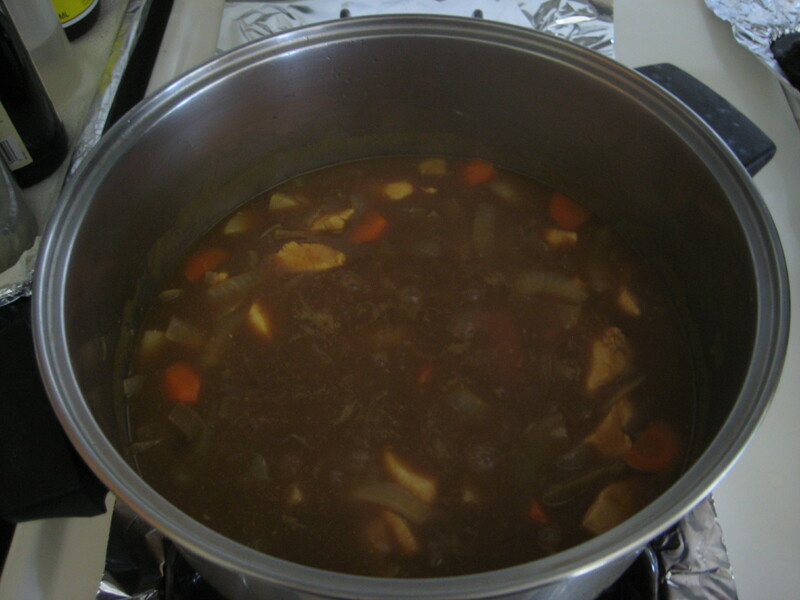 Went to the local oriental market and picked up a box of mild Japanese curry roux. 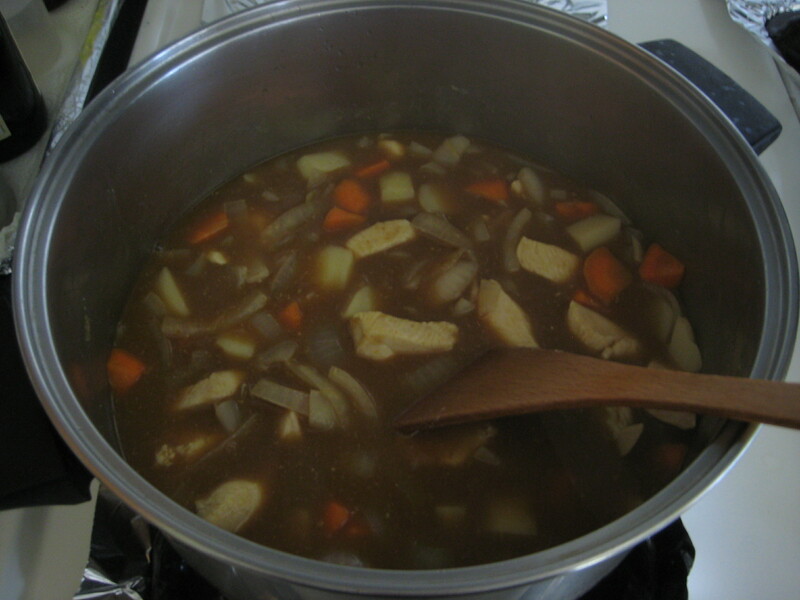 Curry (カレー karē?) 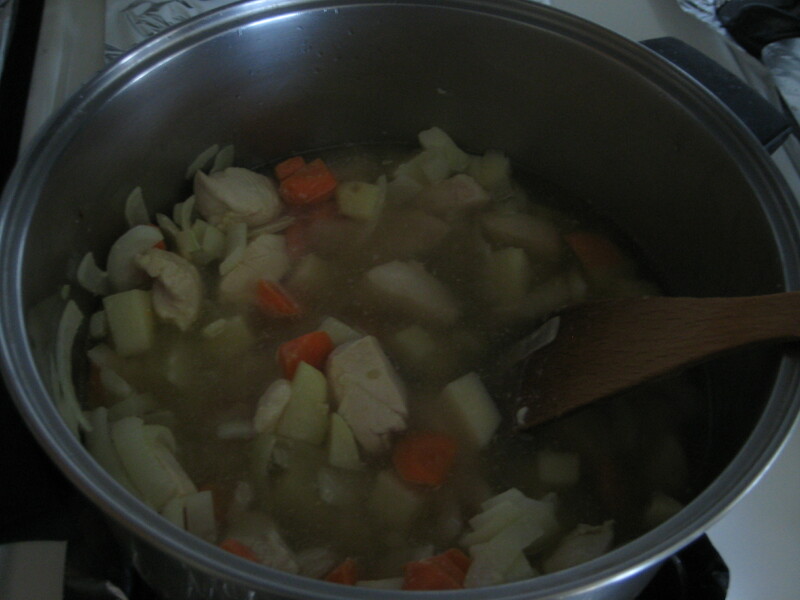 is one of the most popular dishes in Japan. 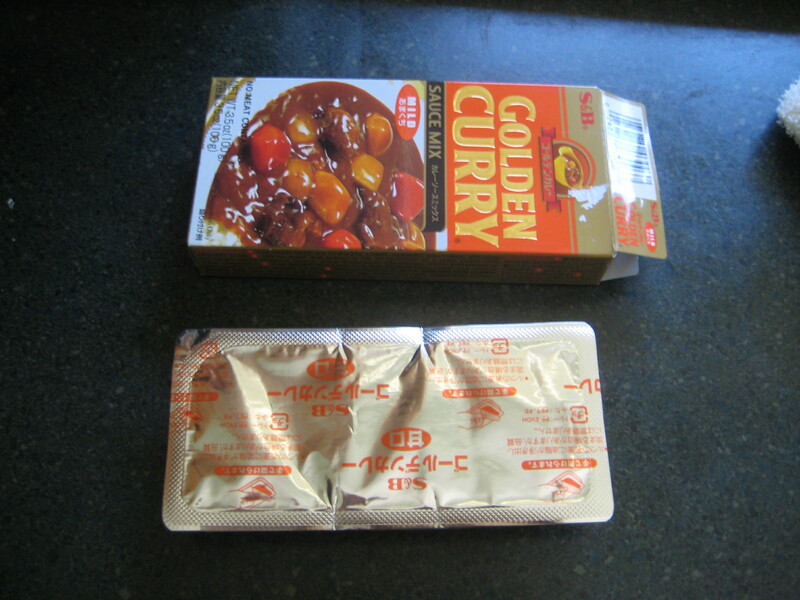 It is commonly served in three main forms: curry rice (カレーライス karē raisu? 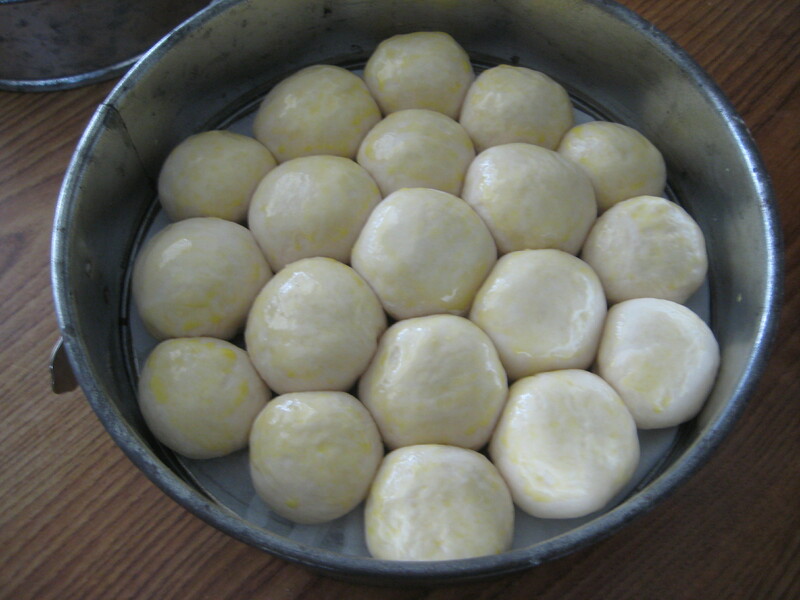 ), karē udon (thick noodles) and karē-pan. 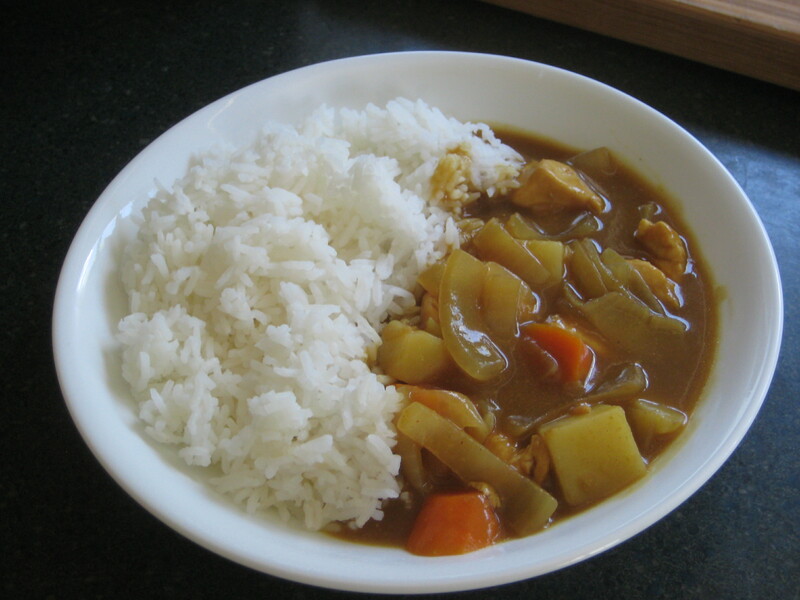 Curry rice is most commonly referred to simply as ‘curry’ (カレー karē?). 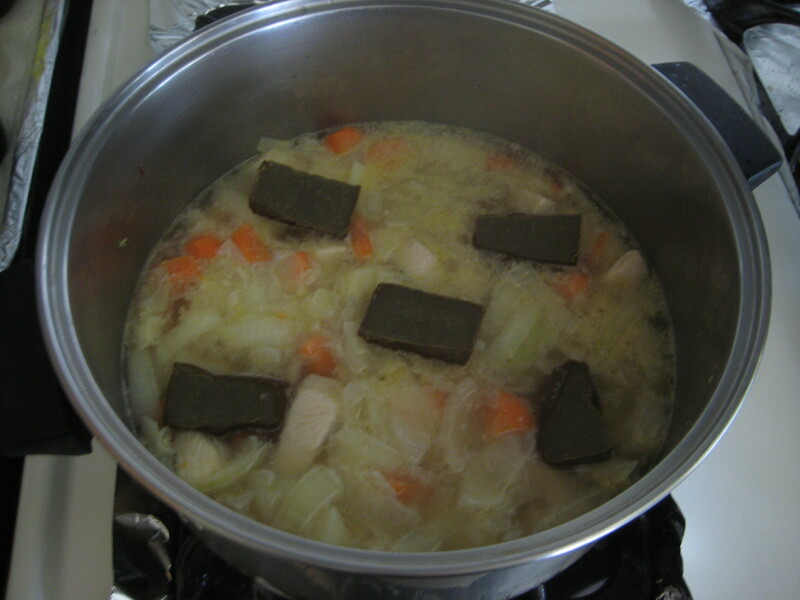 A wide variety of vegetables and meats are used to make Japanese curry. 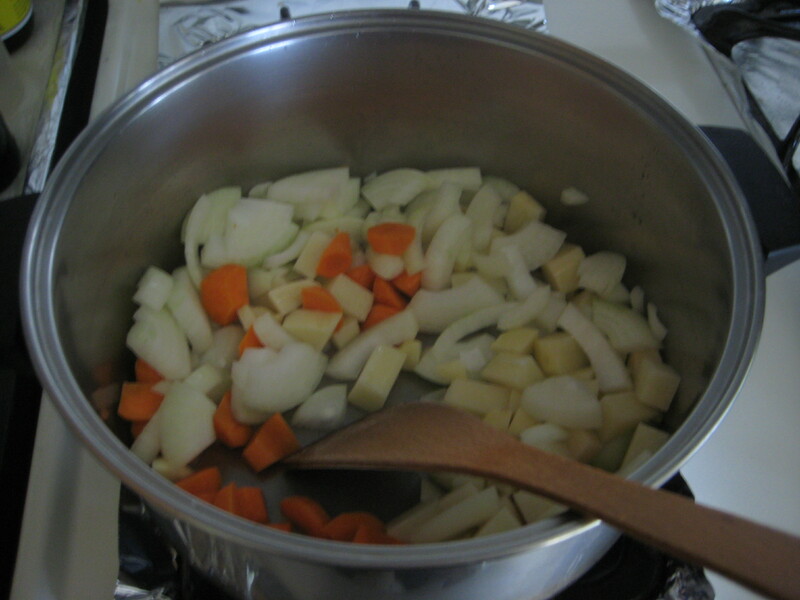 The basic vegetables are onions, carrots, and potatoes. 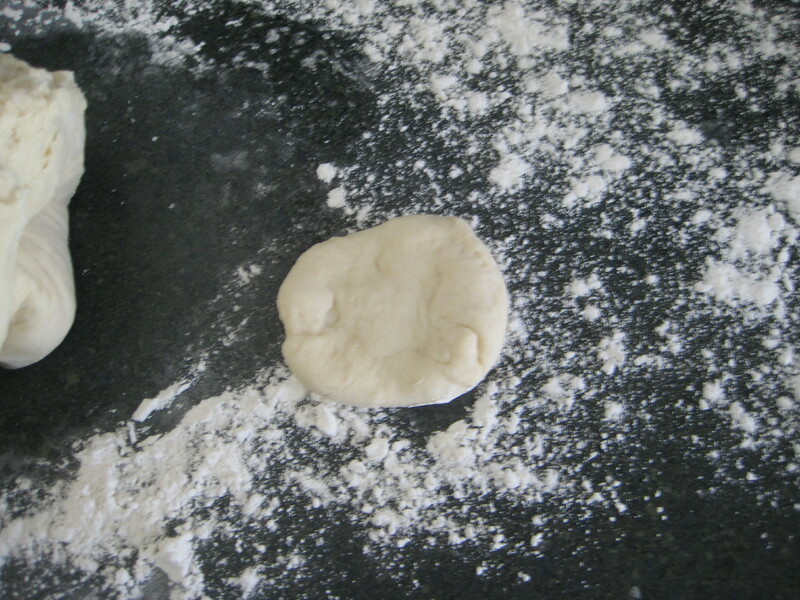 For the meat, beef, pork, and chicken are the most popular. Katsu-karē is a breaded deep-fried pork cutlet with curry sauce. 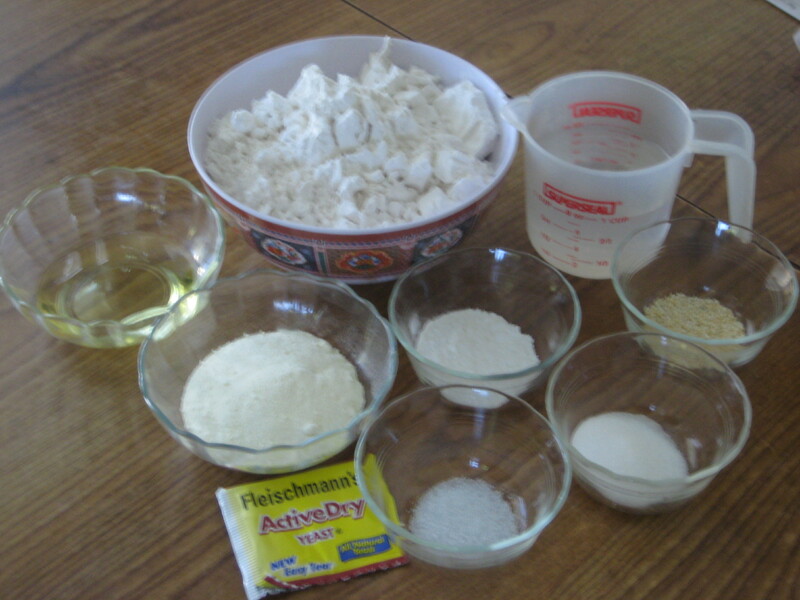 Today I will be making a basic curry rice dish. 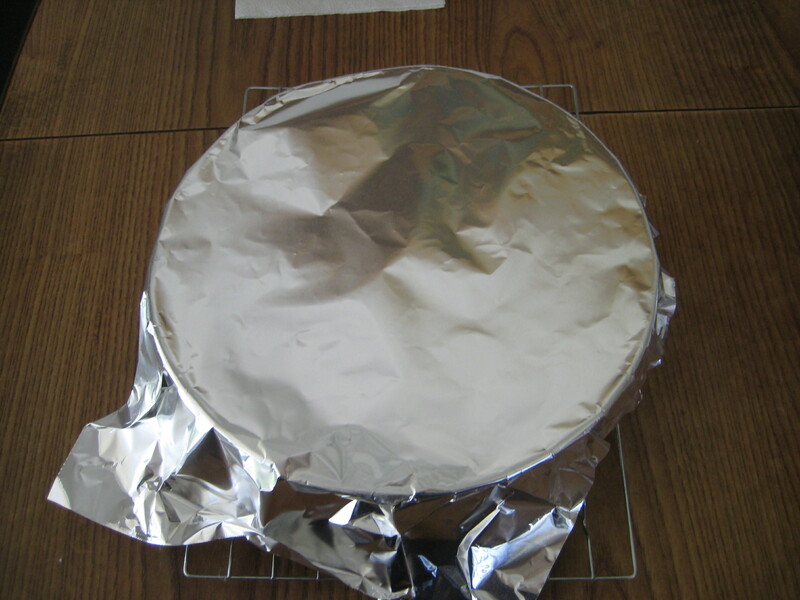 It is inexpensive and very easy to make. The great thing about this dish is that the next day you reheat it, the curry taste even better. 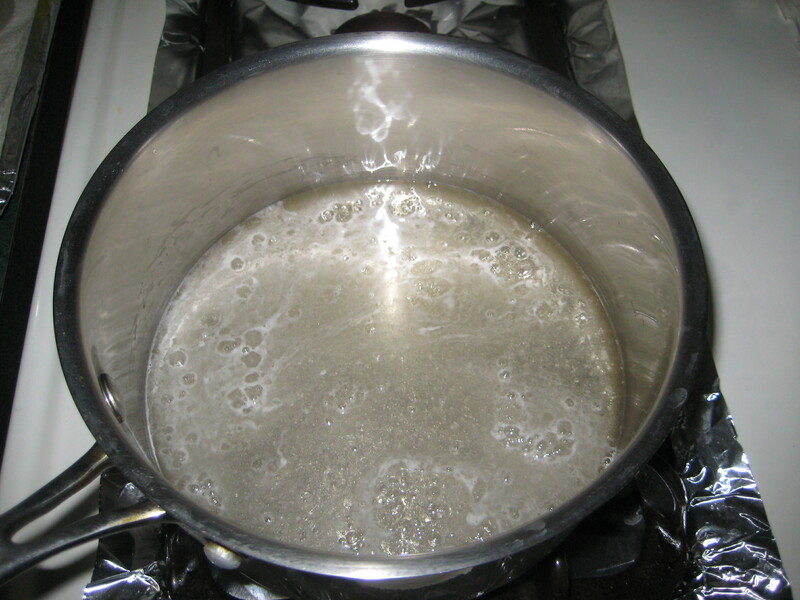 Step 1: Heat the vegetable oil in a large pot over med-hi heat. 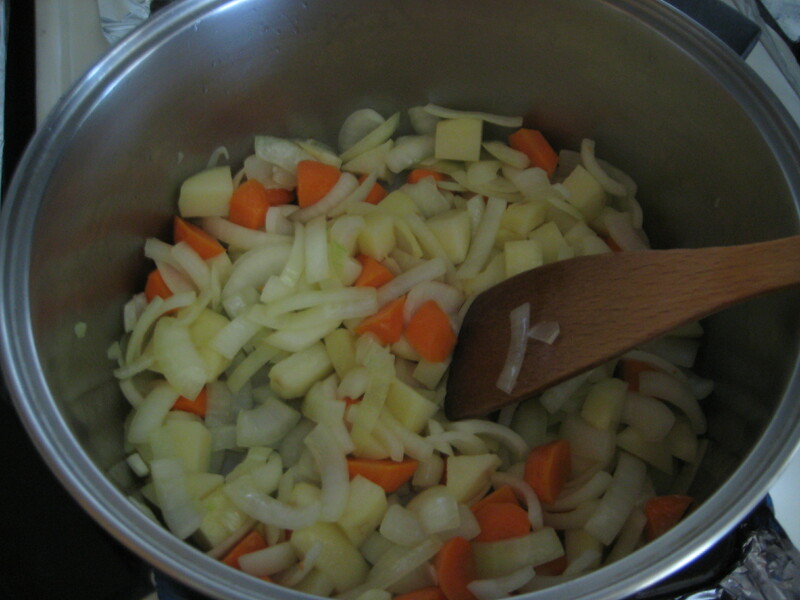 Step 2: Add the onions, carrots, and potatoes. 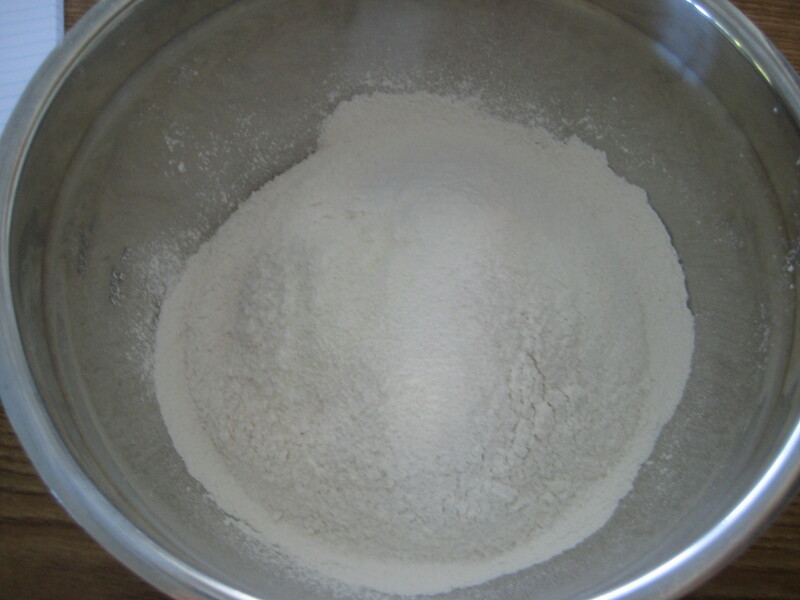 Stir to coat with the oil and cook for 5 minutes. Step 3: Add in the meat and cook until it is no longer pink. 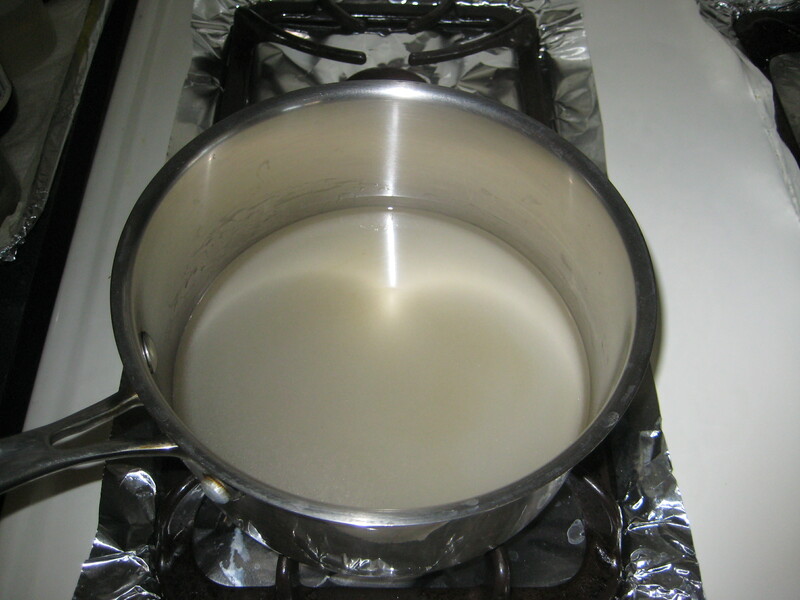 Step 4: Add the water and bring to a boil. 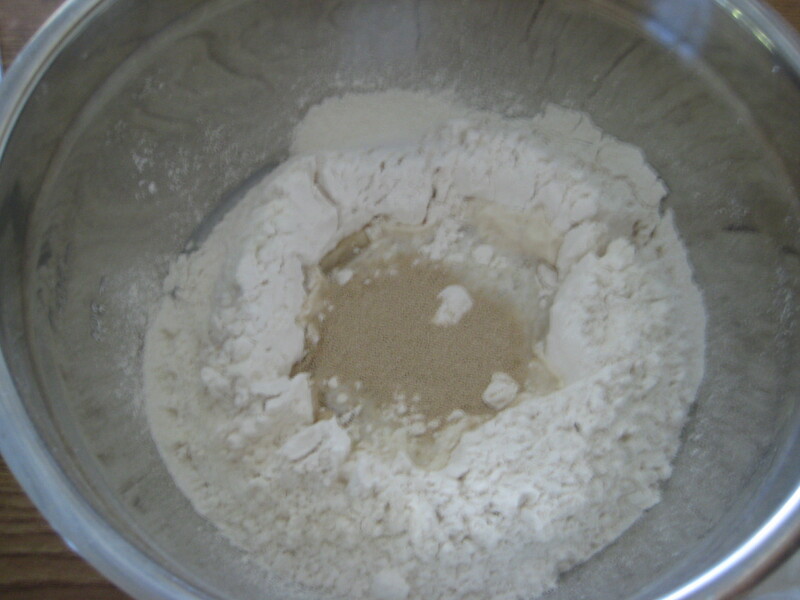 Step 5: Remove the foam that has formed on the surface. 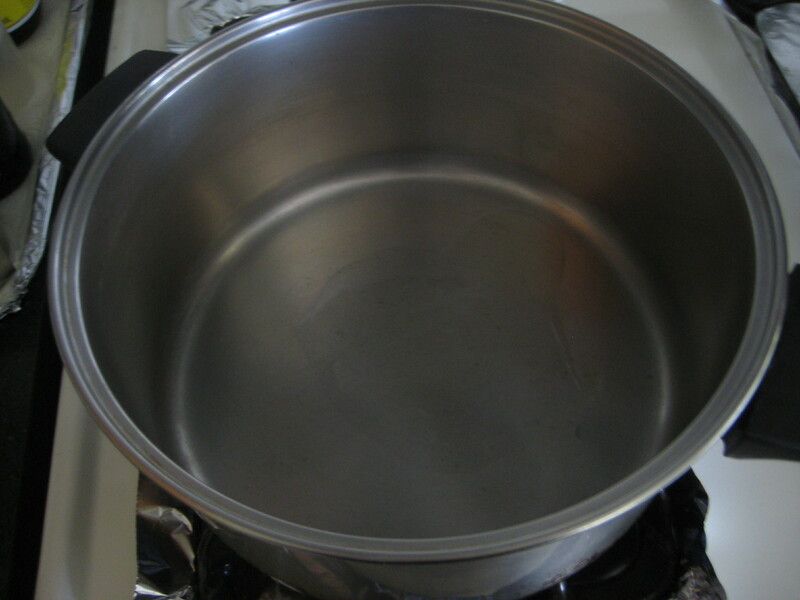 Step 6: Reduce heat to low and continue to cook for 15 minutes. 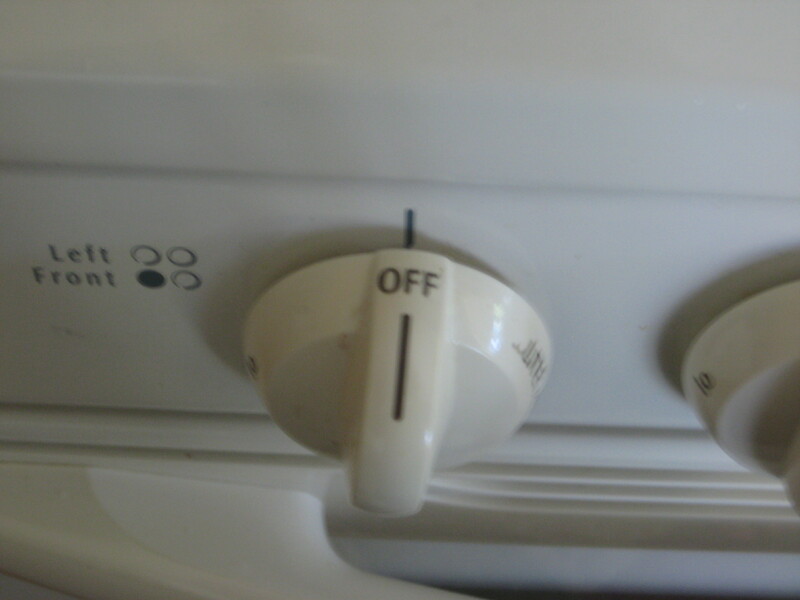 Step 7: Turn off the heat. 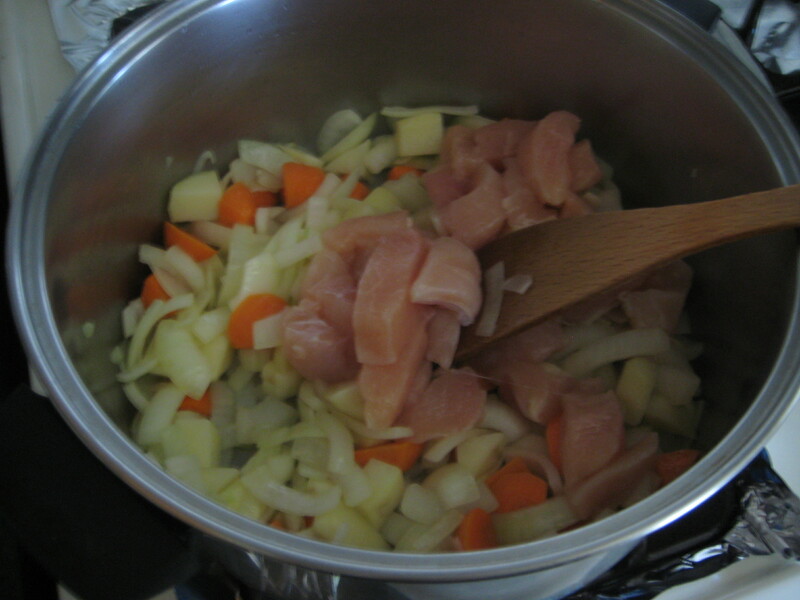 Step 8: Break the curry roux into pieces and add to the pot. 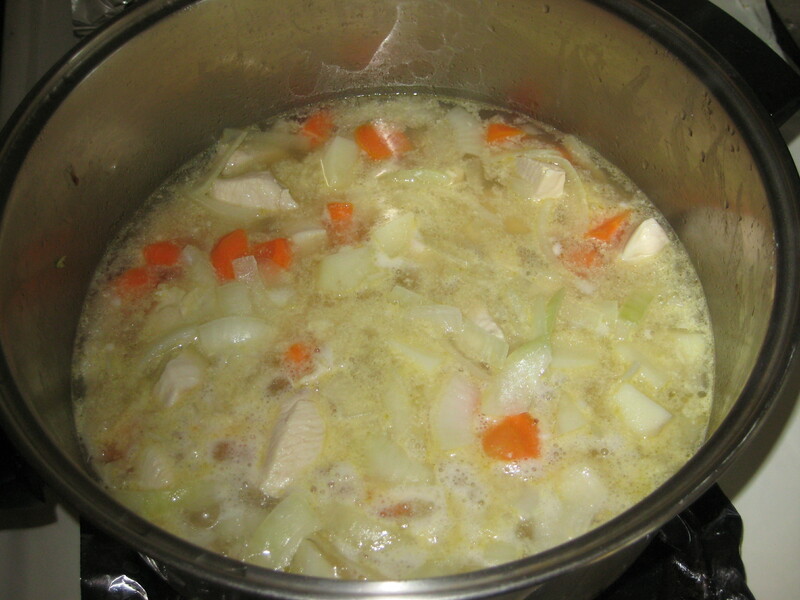 Step 9: Mix well until curry roux is completely melted. 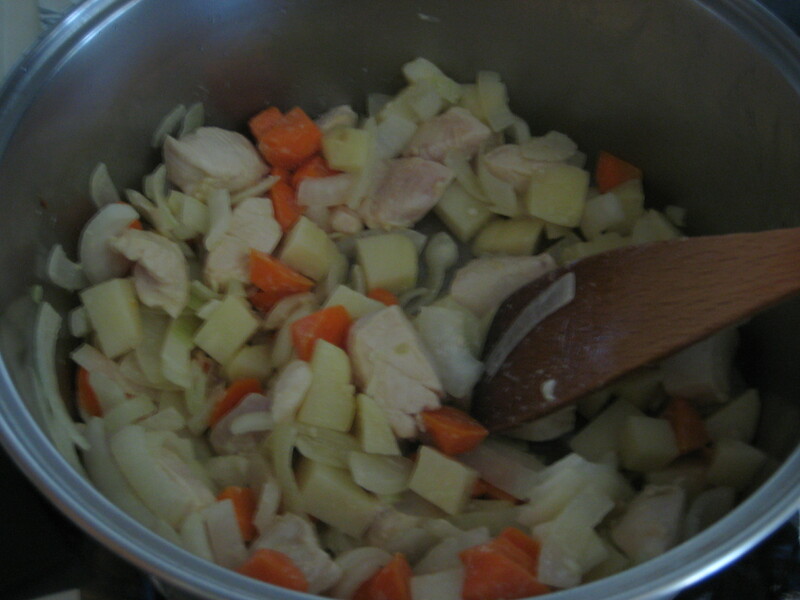 Step 10: Turn heat on med-low and simmer for 10 minutes until the sauce thickens. Step 11: Serve the curry on a hot bed of rice.